High school seniors who are deported before finishing their studies would be eligible for diplomas under a bill introduced Friday by Assemblywoman Lorena Gonzalez Fletcher of San Diego. The Democrat introduced the bill as Congress remains at an impasse on a deal to protect so-called dreamers from deportation. 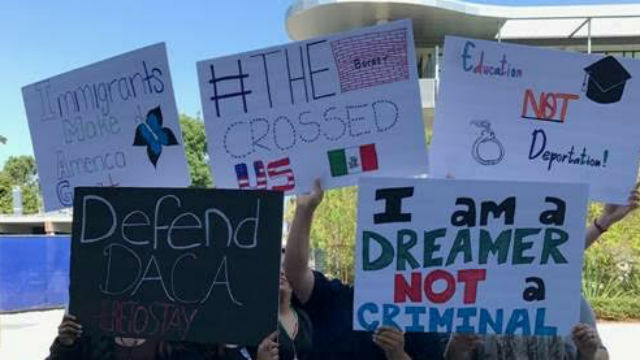 Dreamers, those brought to the U.S. illegally at a young age and who are covered by the Deferred Action for Childhood Arrivals program, have temporary authorization to remain in the country. That permission is set to expire on March 5 unless Congress passes a bill or President Donald Trump reverses his decision to end the program. To be eligible, students would need to have a GPA of 2.0 or higher. The bill would also cover those undocumented immigrants who are not DACA recipients. As precedent, Gonzalez Fletcher pointed to laws passed in several states that allowed those who served in the Vietnam War to receive their diplomas if they were deployed prior to graduating.